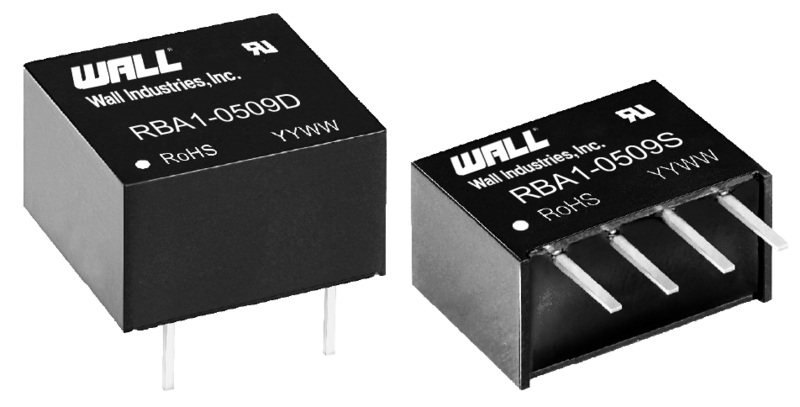 The RBA1 series of DC/DC converters offers up to 1 watt of output power in either a DIP or SIP package with international standard pin-out. 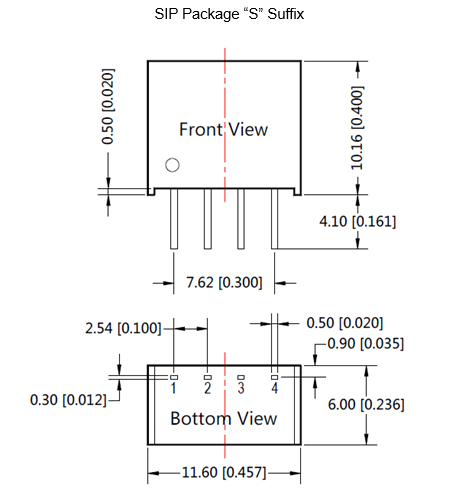 This series consists of isolated and unregulated single output models with a wide, fixed input range and high efficiency. Features of this series include continuous short circuit protection, isolation voltage of 1500VDC, and RoHS compliance. This series has EN60950 and UL60950 safety approvals. Please contact factory for order details. Notes: 1. Ripple & noise are measured by “parallel cable” method. 2. Supply voltage must be discontinued at the end of short circuit duration for all these models. 3. If product is not operated within required load range, product performance cannot be guaranteed to comply with all parameters in datasheet. 4. 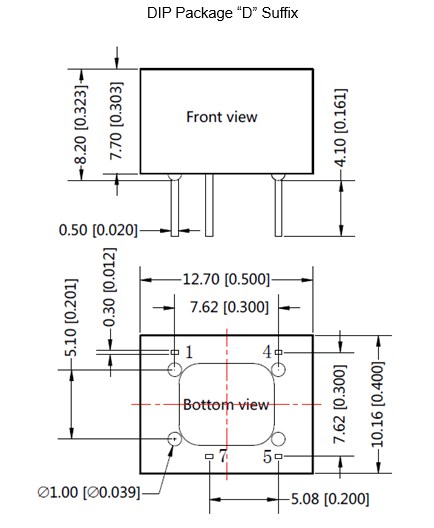 Performance parameters of the product models listed in this data sheet are as above, but some parameters of non-standard model products may exceed the requirements mentioned above. Contact factory for more information.